In the upcoming series focusing on BrightKite, you will be able to learn how to setup and use the BrightKite location based social network. BrightKite, a social network aiming to create a community based on the places people frequent was founded in Devner only last year. It entered a private beta period for almost about eleven months, and recently opened it’s doors to the public earlier this month. So if you don’t have an account- get one now and read on to get started using BrightKite! After you’ve entered all your account information, you can click next and be prompted with the next steps. 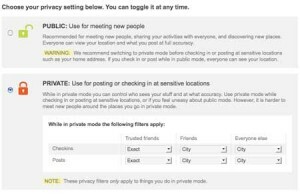 By selecting your default privacy settings, you can control how much information you share and who else can see it. At any given time you can still toggle back between the modes, so this step isn’t crucial. To get the most out of BrightKite, I recommend using the “Public” setting- but beware that it will let others see where you have checked in. The next step will be to check in for the first time. While this isn’t required, you’ll want to check in at some point anyway- so why not? Simply enter a location where you are, which can be detailed as a street address or as vague as a zip code- or just a business address and press “Check In”. 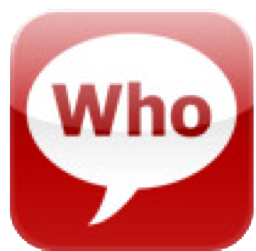 After that you will be displayed with “What’s Happening” in your area- which can either be populated with other BrightKite users activity around you, or empty because there is not enough activity. Above is the main web interface- which can seem a little confusing at first. Broken into three parts, it’s rather trivial. The left most column is where all the action lies, where you click to Check In, have BrightKite guess your location (using nearby Wi-Fi hotspots) see What’s Happening around you, in the BrightKite universe, with only your friends. You can also see comments on your activity, mentions from other BrightKite users, visited places or your placemarks (places you bookmarked). The next two columns can change based on what you mode your in. For example, if you’ve selected the What’s Happening? The main view is focused only on things going on around you, comments or mentions to you, the entire BrightKite universe or just your friends. If you selected Visted Places, you’ll see a list of all the places you’ve checked into. With this information, you’ll be able to get started using BrightKite. In the next article in this series, we will explore new ways of checking into BrightKite from mobile devices such as iPhone, iPod touch or just a simple cell phone. We have to thank Brady Becker, BrightKite founder, for helping me write this tutorial! 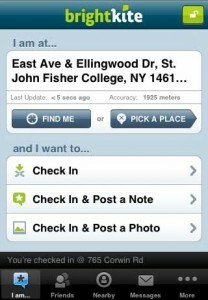 Looking to explore some new ways of sharing your location? 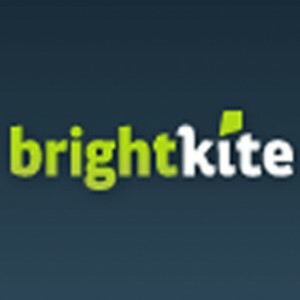 BrightKite offers the best tools for sharing your location. Looking to sign up for yet another social network?!? 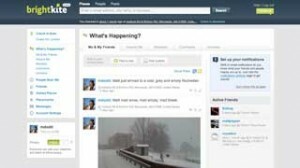 In a crowed field of social networks, a Denver startup BrightKite aims to bring social networking down to the real world. While social networking has gone undeniably mainstream, with over 120 million active Facebook users and 3.2 million Twitter accounts, BrightKite’s network differs in an interesting way- bridging the real world to the internet. For those familiar with the iPhone application Twinkle, BrightKite borrows a few location concepts from Twinkle and builds a social network around them. 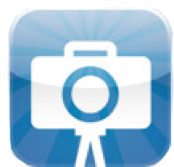 On BrightKite, users may post about what is going on at a given location via a Photo or Note. 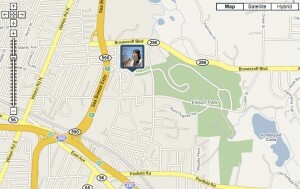 Users can also “Check In” and show other users their current location. On your computer or iPhone, BrightKite can utilize location based services such as Skyhook (a Wi-Fi location service) or GPS to automatically approximate your current location. Additionally you have the option to manually input your location through a specific address business name or a preset “Placemark” (a bookmarked location). After Checking In on BrightKite through a web browser, you will see a map of your current location and a list of other BrightKite users who have recently checked in around you. Once you have added friends, you will also see their activity in your Placestream. You can then explore what your friends or other people are doing in more detail, view photos or notes they posted and even browse individual user profiles. The same applies if you are accessing BrightKite from one of the many supported mobile devices. If you consider your location to be sensitive information (which you probably should), BrightKite makes it simple to hide anything you don’t want others to see by allowing your information to be displayed either publically or privately. Beyond that, you can set many levels of privacy and accuracies that can even extend to your friends on an individual basis. With the native BrightKite iPhone application, you can do virtually anything the full BrightKite website can, and on an iPhone 3G, the GPS hardware makes posting your location downright awesome. 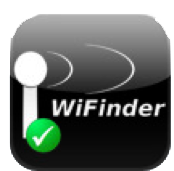 The application is very attractive, easy to use and doesn’t compromise any functionality. In summary, BrightKite’s unique offerings make it a noteworthy social network, although it probably won’t replace Twitter or Facebook. While BrightKite is still currently in beta, if you go to their website and enter your email address, you can get an invite within about 24 hours (usually less). Whether you just took the wraps off a new iPhone or iPod touch or you’ve had one for months now, you should make sure you know about the following applications. The iPhone is a powerful mobile phone. Since July, developers have been flooding the App Store with innovative and powerful applications which have only bolstered the community. Now with over 10,000 applications to choose from, make sure you have checked out the ones on this list! 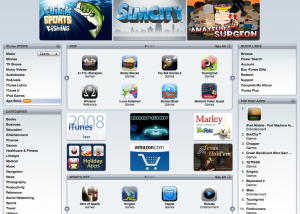 Since the iTunes Store now contains over 10,000 applications there are dozens of new applications that are released each day. 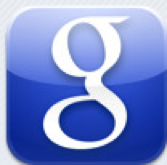 If you find an application that you believe is noteworthy, feel free to contact us and we will write about it! From all of us at theiLife.com, we wish you and your families the best for Christmas, Hanukkah, Kwanzaa and New Years- or whatever you celebrate! We are working on some articles to get better use from your new gifts. Of course, in the meantime you can always entertain yourself with daily updates to The Daily iLife video library. In this coming series, I will be looking at the large number of ways of accessing and updating Twitter. For this first installment, we will focus on tweeting from the Mac. Twitter is the ubiquitous part social network part micro-blogging service that has approximately three million accounts and over five million hits a month. For some it has become an essential part of the internet including the average consumer to the hundreds of companies and high profile celebrities who use the service. 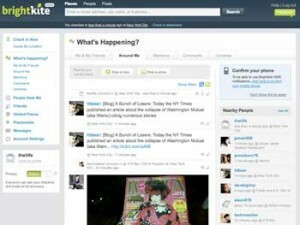 Twitter users have a myriad of options to update or view their Twitter feed starting with the Twitter website (Twitter.com). On Twitter.com, you can see an overview of recent tweets, sort @Replies, view and send direct messages to other users or only view tweets from your favorites. While this is everything the Twitter service has to offer, there are a number of advantages of using a dedicated Twitter client. Below are my two recommendations for Twitter clients. 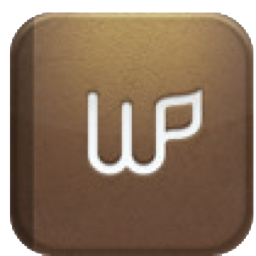 If you can get past the $14.95 price tag, Twitterific by the Iconfactory is by far the best client I have used hands down. The design is very clean and simple- utilizing the Apple “Heads Up Display” style of menu. On the bottom of the display you can visit your Twitter homepage, adjust Twitterific settings or manually refresh your feed. And if you have Growl installed, it will automatically display new tweets when they come in. 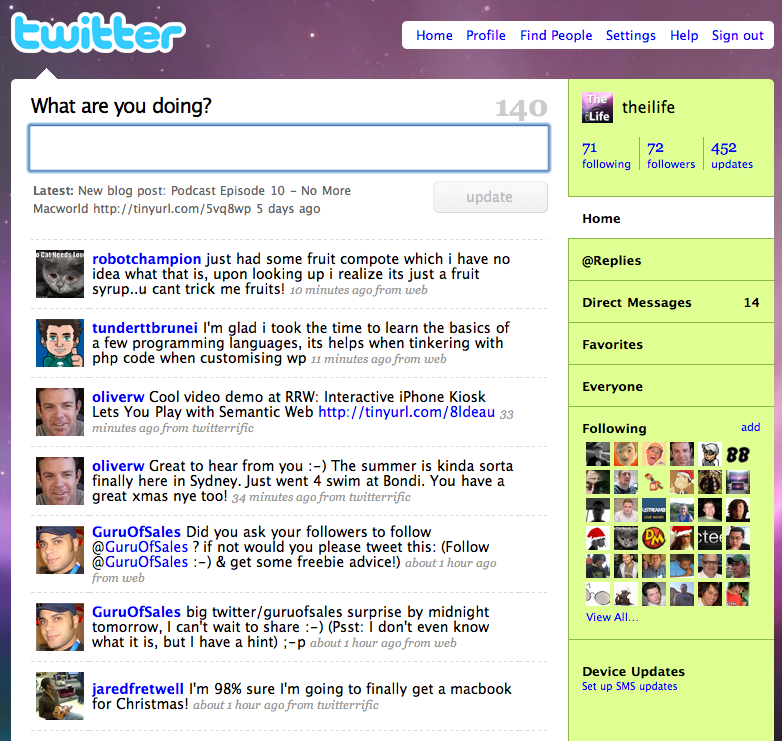 Twitterific is not only the cleanest and simplest Twitter client, but under the hood is very powerful. Within the settings pane you can adjust for any configuration you like. 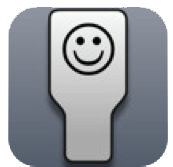 It is worth the $14.95 if you enjoy Twitter and great Mac software. 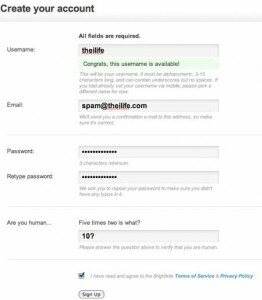 If the idea of paying for your Twitter client is hard to grasp, there are a number of free options to consider. Syrinx is the next best client, developed by MRR Software. 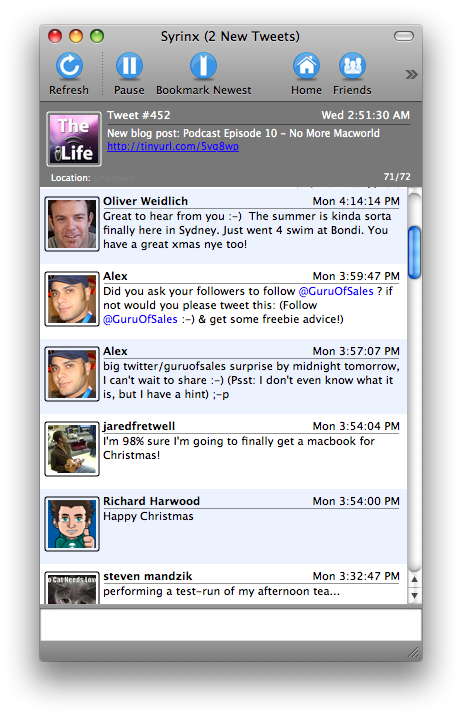 Like Twitterific, it offers a simple interface for viewing the latest tweets or updating your Twitter status and also can interface with Growl. 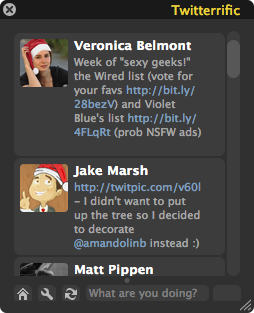 If you’re on a Mac and you use Twitter regularly, you should definitely download a Twitter client that fits your needs. Not only will it save you time, unnecessary refreshes and a tab in your browser but you will get updates as they come in- not whenever you happen to check Twitter.com. Look for more ways of keeping in touch with your Twitter friends in further additions to this series. This weeks episode covers the Apple pullout of Macworld, 10.5.6 release, iPhone applications and the iPhone nano rumors. Check it out! You can click here to subscribe now in iTunes, or visit us in the iTunes Store. Additionally, if you would like to subscribe to the podcast through a standard RSS feed, check this out. This years Macworld will Apple’s last as an exhibitor and will not feature a Keynote presentation by Steve Jobs. According to a statement released by Apple this afternoon, Phil Schiller will deliver the opening keynote to the Macworld 2009 Expo instead Steve Jobs. 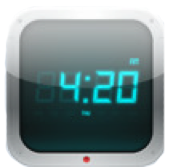 Additionally, this will be the last year Apple will be exhibiting at Macworld Expo. There were a number of rumblings pertaining to Steve Jobs not hosting his typical Keynote earlier this week which in the past have brought light to the iPhone, AppleTV and Intel iMac. Apple today announced that this year is the last year the company will exhibit at Macworld Expo. Philip Schiller, Apple’s senior vice president of Worldwide Product Marketing, will deliver the opening keynote for this year’s Macworld Conference & Expo, and it will be Apple’s last keynote at the show. The keynote address will be held at Moscone West on Tuesday, January 6, 2009 at 9:00 a.m. Macworld will be held at San Francisco’s Moscone Center January 5-9, 2009. Apple is reaching more people in more ways than ever before, so like many companies, trade shows have become a very minor part of how Apple reaches its customers. The increasing popularity of Apple’s Retail Stores, which more than 3.5 million people visit every week, and the Apple.com website enable Apple to directly reach more than a hundred million customers around the world in innovative new ways. You can read more of Apple’s Press Release here. 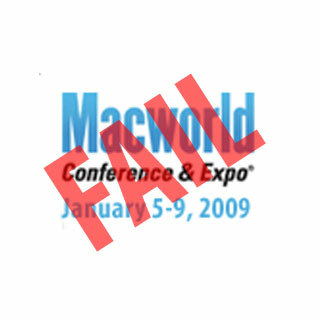 The iLife will not be in attendance to the Macworld Expo this year due to financial issues and the decreasing number of exhibitors at the show. This is another animated Get a Mac ad for the holiday 2008 season. It has just been published to The Daily iLife podcast, which you can subscribe to in iTunes or watch here. This is the latest ad in the Get a Mac campaign. Once again, Apple animates Mac and PC for the holidays. In this ad PC explains how he loves this time of year because he can float, build a snowman in super fast motion, and even talk to animals. When he asks a rabbit where he is going, the rabbit replies “to the Apple Store to do some last minute shopping” and PC pushes the snowman’s head onto the rabbit. 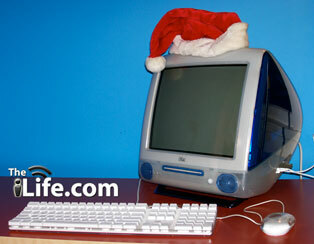 This is the second Get a Mac ad for the 2008 holiday season. It has just been published to The Daily iLife podcast, which you can subscribe to in iTunes or watch here. 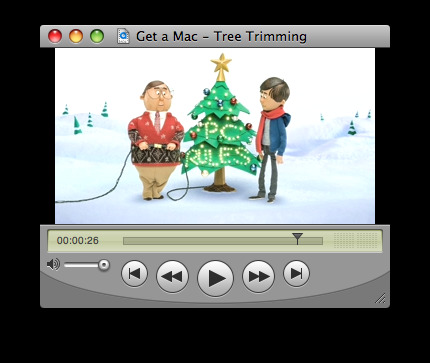 This is another animated holiday 2008 ad for the Get a Mac campaign. In this advertisement Mac and PC are, yet again, putting aside there differences and having some fun trimming a tree. When they are done Mac asks PC to plug in the lights, PC hesitantly plugs in the lights, which flash “PC Rules!”. An Apple Too Big For Secrets? As the year draws to a close, it has come time to reflect upon Apple and a growing trend with the Cupertino company. 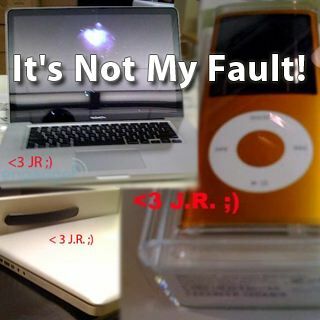 A collage of leaked shots by JR.
With Mac market share on the rise, iPhone sales taking off, Apple profits and revenue up to record levels once again- it is undeniably a great time for Apple. Even during these times of economic uncertainty, Apple appears to be performing better than its market competitors, proving that Apple products are something more than luxury goods they’re made out to be. However, these business successes appear to have had unexpected consequences for the Apple of old. Compared to years past, 2008 has been a dismal year in terms of upcoming product secrecy. For the typically insanely secretive company, the number of leaks and the accompanying lack of take down notices are unprecedented. At its height, Apple’s passion with secrecy saw the take down of rumor site ThinkSecret.com after leaking specifications on the unreleased Mac mini. 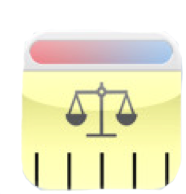 Numerous other websites including AppleInsider, MacRumors and 9to5mac have all experienced the wrath of the Apple legal team in the past but surprisingly haven’t had any recent encounters. A less secret Apple needn’t be a bad thing. Apple’s secrecy was often inhibiting within the company and to consumers. By Apple softening up on its secrecy, employees will be able to focus more on their jobs instead of having to worrying about containing leaks.. Recently, some examples of the “new” Apple are the emails from Apple CEO Steve Jobs which have on a number of occasions briefly detailed upcoming software updates or fixes. Earlier this week, Apple press representative Bill Evans told Macworld “Our holiday line-up is set,” and a representative of Apple responded to a concerned Mac mini customer with a phone call stating “Apple knew the mini was a popular machine and to be patient,”. Finally, last month Apple stripped it’s infamous Non Disclosure Agreement from the iPhone SDK stating “the NDA has created too much of a burden on developers, authors and others interested in helping further the iPhone’s success”. As we are beginning to see Apple evolve, the changes are ultimately for the better. With more attention on quality products and less on NDA’s and secrets, Apple can concentrate on producing more amazing products (MacBook Touch? Newton 2.0?) and developing good software. Missing however, will be the glory days of Mac rumors and magical “One more thing..” announcements as leaks become more abundant and are published by bigger sources like just another piece of news. It appears that the constant demand to see the latest and greatest from Apple before Steve Jobs can reveal it has been won.